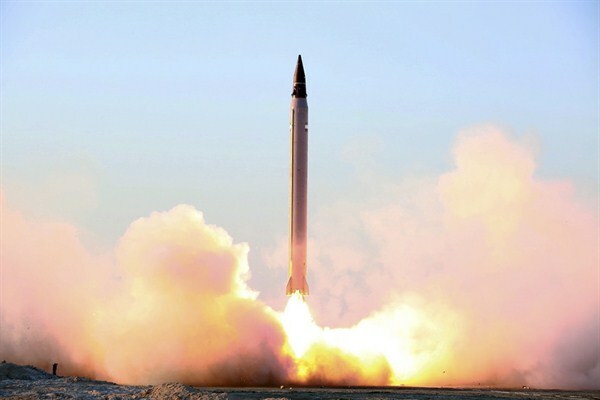 The launching of an Emad long-range ballistic surface-to-surface missile in an undisclosed location, Iran, Oct. 11, 2015 (Iranian Defense Ministry photo via AP). While Iran’s nuclear program has topped the headlines in recent years, its missile program has mostly remained off the radar, with the exception of discussions of a potential Iranian intercontinental ballistic missile (ICBM), which could be used against the continental United States. Iran’s missile program, however, is relatively transparent, so it is remarkable that notable improvements in the range, accuracy and lethality of its arsenal have received far less attention than its nuclear ambitions, especially as these developments signal the missions Iran has in mind for its missiles. In particular, they suggest that unlike North Korea, Iran is in no rush to build an ICBM. Instead, it wants more capable missiles for use against Israel and the Gulf Arab states.